Broadway in Hawaii has been presenting the very best touring Broadway productions at Honolulu’s Neal S. Blaisdell Concert Hall and the historic Hawaii Theatre since 1999. Some of the most successful musicals have taken the stage such as Riverdance, Disney’s Beauty and the Beast, CATS and most recently the smash hit WICKED. Broadway in Hawaii is managed by MagicSpace Entertainment, one of the top promoters of live entertainment in North America. The revitalization of The Blaisdell includes state-of-the-art concert hall enhancements that are necessary to support annual seasons of Broadway shows in Hawaii. Beginning right now, and continuing into the much-anticipated opening of the re-imagined campus, we are thrilled to be doing our part to bring Broadway to the mix of great cultural attractions already appearing at The Blaisdell Center. Broadway in Hawaii is committed to supporting and nurturing the talent of Hawaii’s young people. 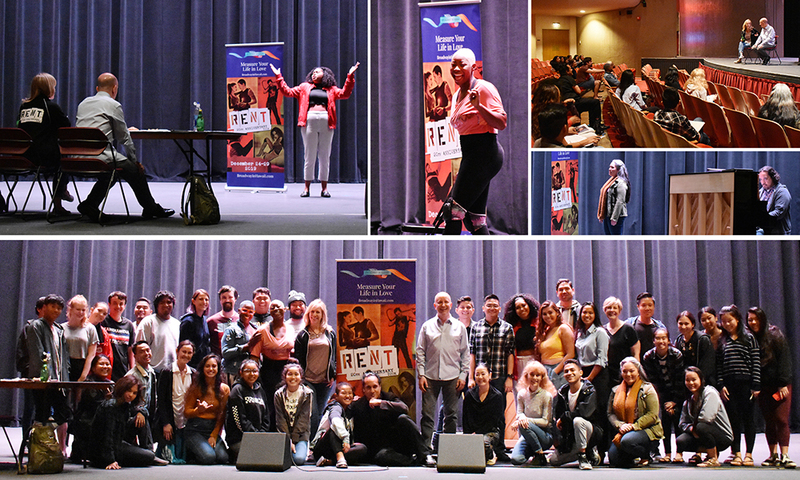 As part of the Broadway in Hawaii Education fund, we recently partnered with the RENT 20th Anniversary Tour to host an audition masterclass with a special question and answer session, real-world instruction on how to prepare for auditions including what casting directors look for. Students from various high schools, universities and other performing arts were invited to attend and observe. We look forward to hosting more opportunities like this in the future to benefit the Honolulu community. Have a question? Email BroadwayinHawaii@magicspace.net.